* You can make a tax-deductible donation to Share International USA and support our continued work making this message known on the widest scale possible. * Send the link for Share International YouTube videos to friends or family, see: www.youtube.com/user/ShareInternational (also on this webpage is a list of links to channels with videos in Spanish, Japanese, German, French, Serbian and Portuguese). * Subscribe to Share International magazine. * If you make comments on internet blogs or newsgroups, point people to the Share International website <www.share-international.org> or to the appropriate language website. You could also point people to the web page that most relates to the topic under discussion. * Share our message in your own words with local groups who might be open to this information. * Donate a Share International subscription to your local public library. Full versions are available in English, French, Japanese and Slovenian, with abridged versions in Dutch, German and Spanish. * Join one or more of the activist websites that work internationally for political, social, economic, and environmental reform (one example: www.avaaz.org). * Display the Share International literature at appropriate venues where networking is allowed. * Tell others about the ‘star’ and encourage people to look for it in their local area. 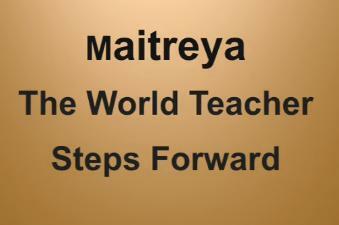 For information about the ‘star’, go to: www.share-international.org/maitreya/Ma_starsign.htm. If you think you have seen the ‘star’, describe your sighting in a letter to the editor of Share International magazine (send via the feedback page: www.share-international.org/feedback/feedback.htm). * Introduce Benjamin Creme’s books to your local bookstores. (See: www.share-international.org/background/printed/books.htm). For books in other languages, visit the appropriate language website. * As you read each of Benjamin Creme’s books, post a review on www.amazon.com and www.barnesandnoble.com under Customer Reviews. * Mail a copy of Share International magazine with a covering letter to media and other influential people. 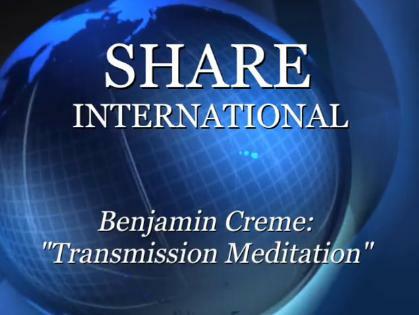 * Phone radio talk shows and ask if they have heard of Benjamin Creme and his claim that a great spiritual teacher named Maitreya has come to help us solve our global problems. Always try to connect this with the topic under discussion. * Watch for newspaper or magazine articles offering an opportunity to write a letter to the editor, or to phone an editor/reporter and introduce this story. Many are the ways to serve, but one among all today has priority: the Christ needs your willing help. Tell the world of His presence and His imminent emergence and aid Him more than you could know. Build together the thoughtform of this event and create a climate of hope. More than anything, this will insure His smooth re-entry into a troubled and chaotic world. You, My friends, have a unique opportunity to serve at this time. You are in receipt of a message of Hope, a declaration of truth, and on your judgement rests your future. You may take the path that leads to sterile inaction: that is your right. But, my friends, why discard an opportunity to serve your brothers and Me in a most potent fashion? Make known the fact of My Presence among you and see the light of joy awaken in your brothers’ eyes. Let them, too, share in this manifestation of hope and promise for the world, and take your place by My side.